Earphones & Headphones. BEB 868 HDSS High Performance Headphones. Ear Cushions & Pads. They have no signs of use and sound great. 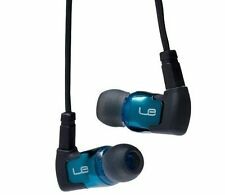 JBL Lenovo Stereo In-ear Aluminum Earphones. JBL High Performance In Ear Headphones. Ultimate ears ue900s 900s noise-isolating earphones, Serial number : sn0582026. Item Title. Never Miss A Note: The 3-way cross over separates out distinct channels. Frequency response: 20 Hz – 20 kHz. Product derails. Warranty Full Manufacturer. Ultimate Ears Super.Fi 4vi Earphones for iPhone 6 5s 4s 3gs. SuperFi 4vi noise-isolating earphones withvoice capability. Get absorbed into your music - SuperFi 4vi earphones with voice capability. Ultimate Ears SuperFi 4vi Noise Isolating Earphones. With all original accessories. The wire is upgraded to the ultimate ear tf10 with mic for apple device. Great conditional, not use often. Genuine Ultimate Ears Super FI 4vi Earphones. SuperFi 4vi noise-isolating earphones withvoice capability. Get absorbed into your music - SuperFi 4vi earphones with voice capability. for iPhone (1G 3G 3Gs 4 4S 5 5S) & Blackberry & all iPods MP3 with 3.5mm jack. Rare Ultimate Ears Triple Fi 10 in-ear headphones. Sounds amazing. In good working order. Doing this lets us also keep perfectly good products from being wasted in a landfill. Our priority is satisfying your need! With up to 16 hours of battery, it brings your music to life wherever you take it. Waterproof and virtually indestructible: Never worry about going easy on it, your music will always be on point. to Enlarge. Get seriously clear sound that doesn't need to blast your ears in order to hear every note, or every car horn. LOGITECH ULTIMATE EARS UE 4000 HEADPHONES WITH SOFT CASE. HAS NO CORD. I WILL DO EVERYTHING I CAN TO MAKE YOU BUYING EXPERIENCE A GOOD ONE. See pictures. They work well as is. Color is clear. Sound that’s distinctly and unmistakably UE—pure, undiluted, rich, clear and perfectly tuned. Logitech UE 4000 Headphones. Soft-as-leather cushions and a compact, grab-and-go design make it perfect for wherever the music takes you and the 2-person sharing splitter lets you bring a friend along. Ultimate Ears SuperFi 3 Studio Noise Isolating Earphones for iPod & MP3 player. Ultimate Ears SuperFi 3 Studio Noise Isolating Earphones. 2-set different-sized silicone ear-cushions and are included to find a "magic seal" against outside noise in your ears. Includes everything pictured, box, manuals, carrying case, unused blue talkmic cable, and headphone dual adapter. Logitech Ultimate Ears Super.Fi 4 Headphones IP-P4SSA0001-02 Gun Metal Silver. In ear headphones Condition is New in Box! Never opened! Box does show some small creases as seen in pictures but otherwise in great shape! Please message w questions or for more pictures! Thanks! Includes: In ear monitors, cable and case only. We would like the opportunity to resolve any issues. Genuine Ultimate Ears Super FI 4vi Earphones. SuperFi 4vi noise-isolating earphones withvoice capability. Get absorbed into your music - SuperFi 4vi earphones with voice capability. Earphones only (exactly as pictured), no any accessories. 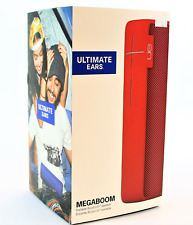 Ultimate Ears Super FI 4 Earphones for All iPod & MP3 Players (3.5mm). SuperFi 4 noise-isolating earphones. Get absorbed into your music - SuperFi 4 earphones. Ultimate Ears SuperFi 4 Noise Isolating Earphones. Logitech ultimate ue 4000 headphones. Barely used. In Excellent condition. Everything works great. A second standard cable is included for those who need to listen to music and nothing else. UE 900 Earphones - 97855084385. UE Sound Signature. Sound that’s distinctly and unmistakably UE—pure, undiluted, rich, clear and perfectly tuned. Logitech UE 900s Ultimate Ears Noise-Isolating In Ear Earphones Braided Cable - Black / Blue. This is to avoid previous proud attempts. 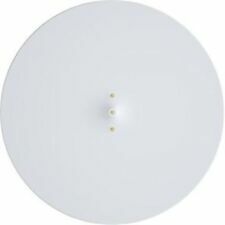 The item should be in its original condition, unopened and unused. Ultimate Ears UE6000 On-Ear only Headphones - Black. Condition is Used. Shipped with USPS Priority Mail. 100 foot Bluetooth range for the ultimate portability. Built-In microphone and call answer button. Durable build and stylish design. Connect two Bluetooth-enabled devices at once so you and your friends can switch off playlists. Trending at $126.32eBay determines this price through a machine learned model of the product's sale prices within the last 90 days. Power Up Charging Dock. We are here to help. This item is like new. The sound quality is amazing. Excellent condition. D032019. HTML clipboard Ultimate Ears Triple.Fi 10 Noise Isolating Earphones for iPhone, iPod & MP3 player. Ultimate Ears TripleFi 10 –Studio-grade earphones with triple armature speakers. Triple because it directs the low, mid and high frequencies to a separate speaker, a total of three in each ear (that's patented, you know). We created the UE 9000 wireless headphones for people who live for music and want it to move as freely as they do. Easily connect with your smart device to listen to pure, undiluted music, no cords required. Part # UE Boom 2 Blue. UE BOOM 2 is the 360-degree wireless speaker that blasts loud, insanely great sound with deep, powerful bass in every directioneverywhere you go. It was designed to get wet, muddy, and beat up. 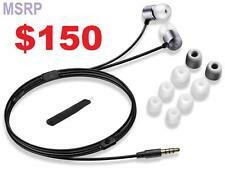 Ultimate Ears Super.FI 4 Noise Isolating Earphones for All iPod & MP3 Players (3.5mm). Ultimate Ears SuperFi 4 Noise Isolating Earphones. Muddy no more. Get absorbed into your music - SuperFi 4 earphones. Everything we do is in the service of music. Learn more about Logitech UE. We created the UE 9000 wireless headphones for people who live for music and want it to move as freely as they do. Easily connect with your smart device to listen to pure, undiluted music, no cords required. Ultimate Ears represents the culmination of years of experience designing, testing and refining professional in-ear monitors. Ultimate Ears brings this experience to every pair of earphones that they make. Ultimate Ears TripleFi 10vi Noise Isolating Earphones for iPhone/Blackberry, iPod & MP3 player. Live in concert voice capability. With three speakers in each ear, you'll hear every layer of sound, every nuance, every detail. Ultimate Ears TripleFi 10vi Noise-Isolating Headset. Live in concert voice capability. With three speakers in each ear, you'll hear every layer of sound, every nuance, every detail. A musician's breathing. Ultimate Ears SuperFi 3 Studio Noise Isolating Earphones for iPod & MP3 player. Ultimate Ears SuperFi 3 Studio Noise Isolating Earphones. 3-set different-sized silicone ear-cushions and are included to find a "magic seal" against outside noise in your ears.